Packed with fascinating aromas and flavors, Dirfys Mushroom Risotto is the authentic choice that never fails to attract new devotees. To its premium, risotto rice Dirfys adds wild mushrooms harvested under the watchful eye of mycologists (agriculturists specializing exclusively in mushrooms) in an environmentally friendly manner. The mushrooms are then dried naturally so that their flavor and nutritional elements may remain intact. Mushrooms are calorie-poor and rich in dietary fiber, antioxidants, Vitamin B complex, Vitamin D, trace minerals, and proteins. Break out your pan and stirring ladle and get ready: Your Dirfys short-grain rice and dried wild fungi package will soon turn into the dreamiest of creamy and supple risottos scented with the elusive aroma of mushrooms! Rice feeds the human population since ancient times. It is said that rice was brought in Greece and in Europe by the soldiers who returned from Alexander the Great's campaign in China and thus gradually spread throughout the world. It contains complex carbohydrates, amino acids, proteins and vitamins. It is highly digestible and does not contain gluten. 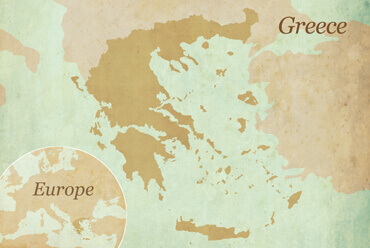 In Greece, rice is cultivated mainly in the deltas of rivers and in coastal areas. It is a food that is easily combined with other flavors such as meat, legumes, as a filling, in risotto recipes or even in sushi , thus offering an inexhaustible variety to choose from! In 2006, two young men, Eleftherios Lahouvaris and Athanasios Mastroyannis, both university graduates in Agriculture but also with great experience in mushroom growing, founded "Dirfis" – a company situated Northern Evia. 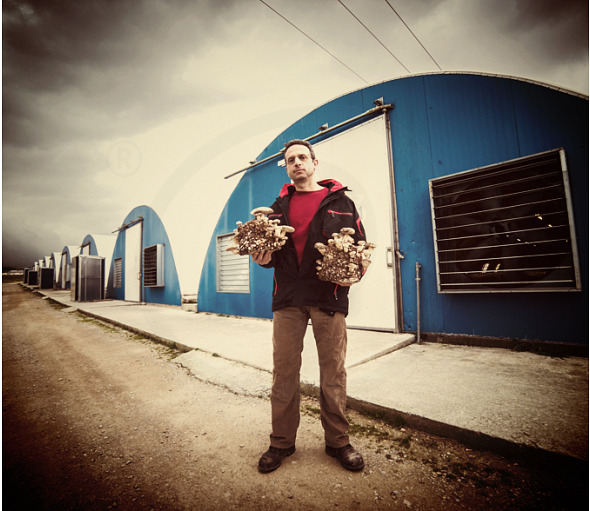 Being dedicated and passionate lovers of the agricultural mycology sector, they are ‘fiercely’ engaged in the cultivation of pleurotus mushrooms and in the production of products of high gastronomical and bioactive, functional value. They participate in pioneering research projects in cooperation with universities; they constantly make sure they keep up to date with the latest developments in their field. Moreover, they share their knowledge of mushrooms through international congresses and seminars. 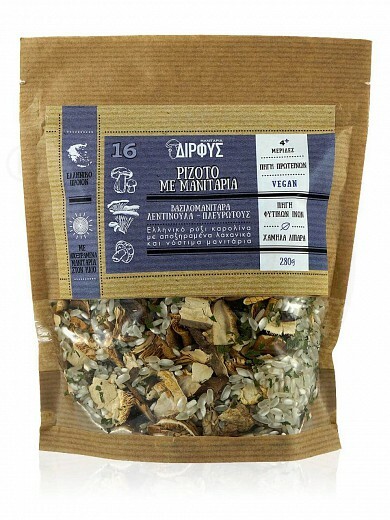 What "Dirfis" does, is to collect and dry wild mushrooms found in the Greek forests and launch them to the market. Eleftherios and Athanasios aim at creating new products based on mushrooms and also emphasizing their nutritious and bioactive ingredients.Dirfis has installed its mushroom cultivation unit at a safety distance of 7 km from the substrate production unit to ensure that conditions of hygiene are kept high and that risk of infection during pasteurization and incubation is kept at its lowest possible level. Dirfis chose its location at the foothills of Mount Dirfis very carefully using stringent environmental criteria. The company’s production unit is surrounded by lush vegetation and is characterized by a terrain that is ideal for the creation of the microclimate mushrooms need in order to grow. The location of the plant is free of any vehicle or industrial pollution and follows to the letter all the specifications necessary in producing wholesome products that are rid of any external polluting factors. One of the most impressive natural phenomena is how rapidly and suddenly mushrooms appear. That phenomenon is directly linked to the evaporation rate of the mycelium’s growing fruit body and osmotic pressure. By applying the appropriate ventilation and by maintaining the cultivation cabin at the right temperature and humidity, the Dirfis team ensures that the evaporation rate of its precious cultivations will remain within required levels. The history of the region, dates way back to ancient times. Throughout the 2500 years of its recorded history, starting from the Neolithic era, this region witnessed many conquerors - Spartans, Athenians, Macedonians, Romans, Venetians and Ottomans.In terms of its natural landscape, Evia Island is a combination of the absolutely wonderful lush green mountains and the sapphire blue water of the sea which surrounds it – a unique combination indeed! 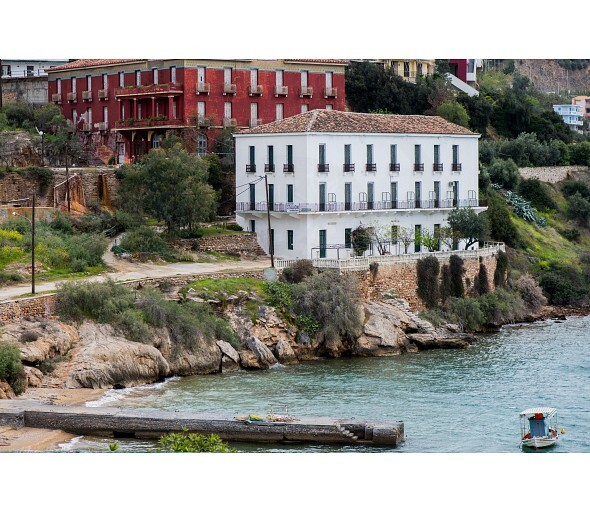 The stunning beaches, the deep blue sea with its redeeming qualities, all mingle with the majestic and imposing presence of the mountain - the rich forested peaks, the olives trees, fig trees and fir trees are all awe-inspiring! Smooth and creamy, a risotto that packs the tantalizing flavors of Greek risotto rice and dried wild mushrooms from the island of Evia for a quick, easy, and mouthwatering entrée!